The federal government can once again seize and detain anyone, including Americans, suspected of “terrorism” and hold them indefinitely – at least until September 28. On Monday, September 18, appeals court Judge Raymond J. Lohier granted the government’s request to put on hold a permanent injunction ordered by federal court Judge Katharine Forrest’s in Hedges v. Obama, which bans a provision in the National Defense Authorization Act (NDAA) of 2012 that gives the government power to seize “terror suspects” and detain them indefinitely in military custody without charge or trial, including United States citizens on American soil. Lohier granted the interim stay against the indefinite detention provision – Section 1021(b)(2) – until September 28 when a panel of judges will hold a hearing on the matter. President Obama signed the controversial $662 billion NDAA last New Year’s after a year-long controversy that centered on the vagueness of the language that gave the U.S. president unprecedented and unlimited authority to order the military to seize anyone suspected of “terrorism” or “providing aid to terrorists” or “associated forces” anywhere in the world. The Act nowhere gave specific indications of what kind of activities might land someone in indefinite detention without being charged or tried. Former New York Times reporter and Pulitzer Prize winner Chris Hedges, MIT professor Noam Chomsky, Daniel Ellsberg, the former military analyst and Vietnam anti-war activist, who set a model for Wikileaks by releasing the Pentagon Papers and others filed the lawsuit against Obama and other federal government and congressional officials last winter. The plaintiffs asserted that Section 1021(b)(2) had already affected their “associational and expressive activities” – their freedom to assemble and free speech rights – and that the language of the law is so vague that it “provokes fear” that they could be seized and subjected “to indefinite or prolonged military detention” for exercising their constitutionally protected right to political speech. 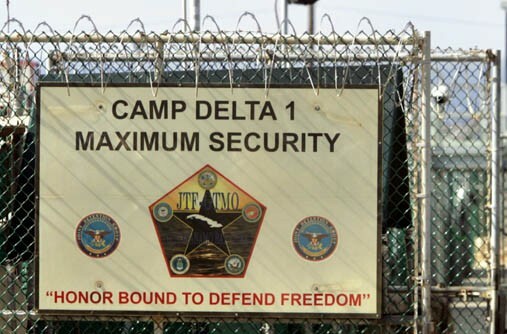 ENTIRE ARTICLE HERE: Appeals Judge Grants Stay of Injunction on NDAA’s Indefinite Detention – ICTMN.com.